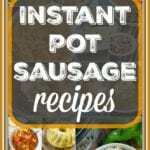 We’ve got lots of Instant Pot sausage recipes for you to enjoy with ground sausage as well as sausage links mild or spicy. Breakfast and dinner are covered in no time at all when you use your pressure cooker. I really see ground sausage as a great alternative to ground beef in just about any recipe. We prefer spicy sausage over anything else. It lends a ton of flavor which means I don’t have to add any additional spices. Pressure Cooker sausage and peppers is so good and super cheap to make! Instant Pot breakfast casserole – 4 different ways to make this and each way could use sausage. Easy Instant Pot stuffed peppers can use ground sausage or beef, either is great. My family loved this one. Pressure cooker lasagna casserole is killer with ground sausage. 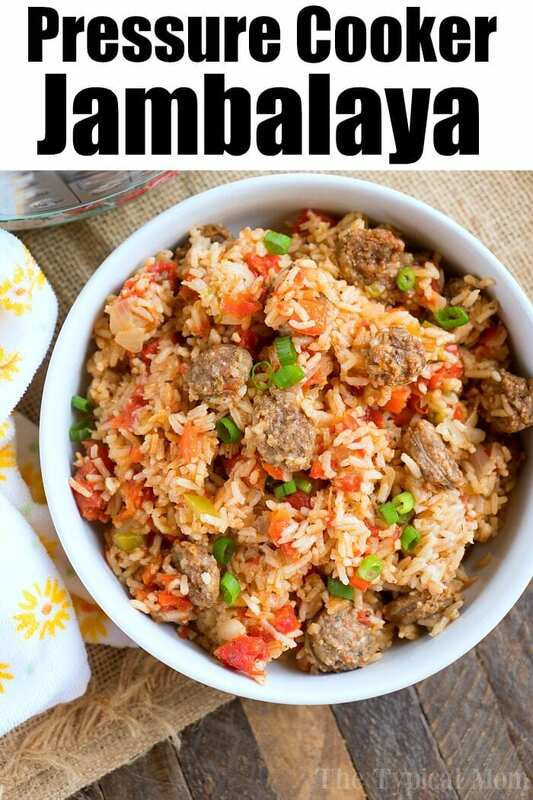 Our pressure cooker jambalaya is made with sausage links! Instant Pot cheeseburger macaroni – this one is honestly better with ground sausage because it adds a ton of flavor vs. beef. Add ground sausage to our Instant Pot red beans and rice – easy and you can customize it to your spice level. Bet this Instant Pot stuffed cabbage casserole is new to you – favorite amongst all of us. Classic Pressure cooker cabbage soup has a ton of flavor using spicy sausage.Yes you can make it on the stove top but this is much faster. Pressure cooker sausage soup is another favorite with spicy ground sausage. Cheesy Instant Pot goulash – make regular goulash or add the creaminess for heaven. 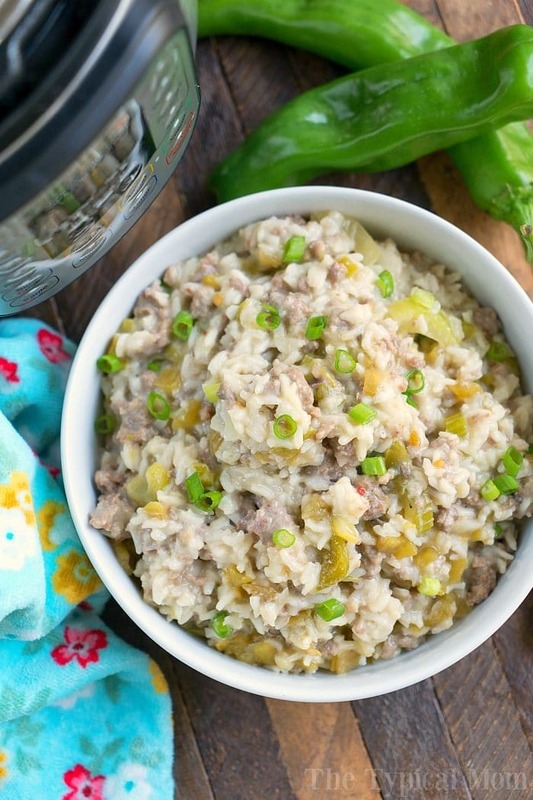 Unstuffed Instant Pot stuffed pepper casserole – same great flavors but way easier to make than the traditional method. Instant Pot lasagna soup – great year round. Love our Pressure Cooker breakfast bundt cake – This comes out SO pretty and we’ve had it for dinner as well. Sausage is great for just about any meal, including breakfast like you see here above! 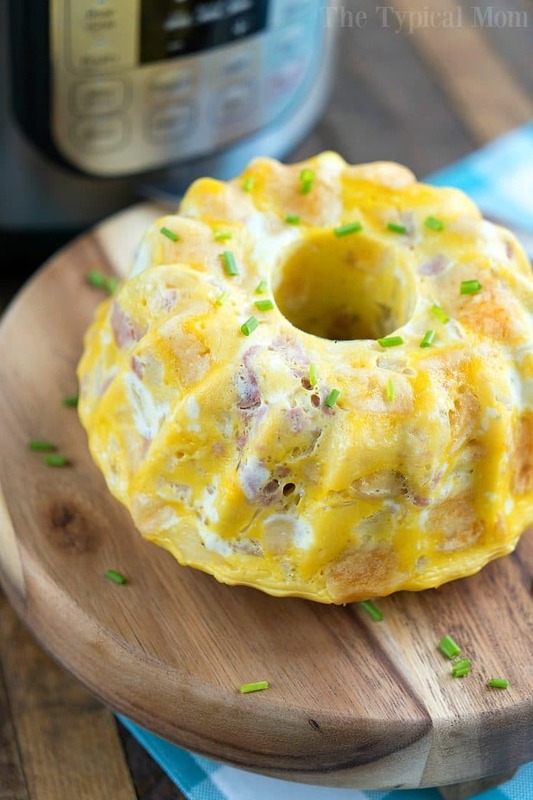 I have made this breakfast bundt cake with spicy ground sausage as well as ham and I’d say the sausage won! 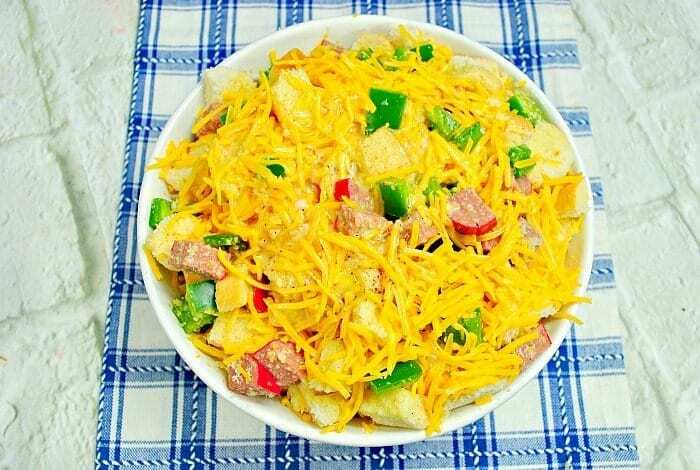 Instant Pot sausage breakfast bake dish recipe is below! Just throw it all together in your pan, in on high pressure. Instead of a quick release allow steam to release naturally for best results. 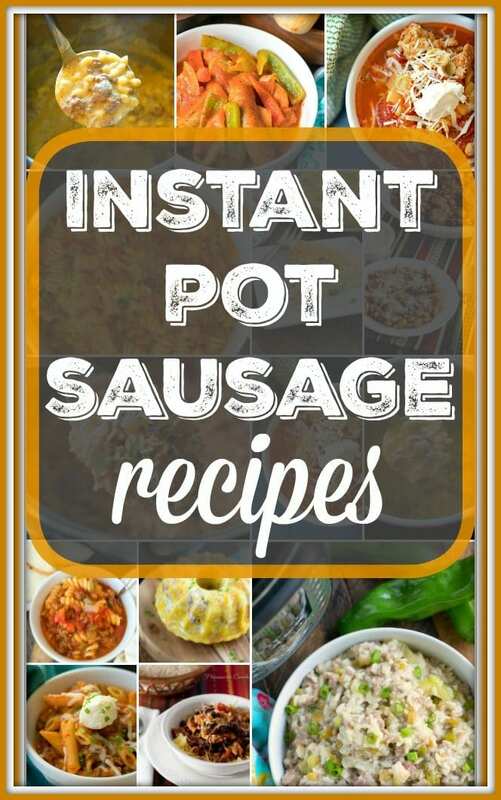 We've got lots of Instant Pot sausage recipes for you to enjoy with ground sausage as well as sausage links mild or spicy. Breakfast and dinner are covered. Spray inside of casserole dish with non stick spray. Cube your sourdough bread loaf and put inside your dish on bottom, up to about 3/4 of the way full inside your dish. 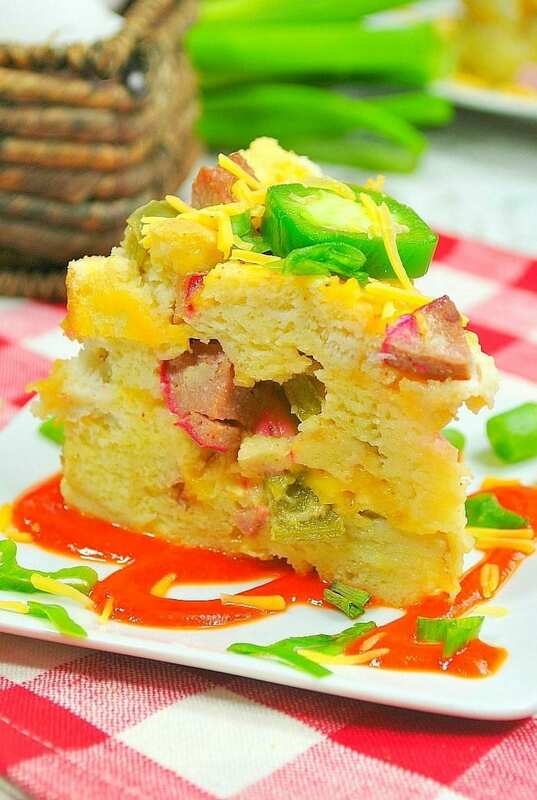 Sprinkle your cajun sausage pcs., green peppers, and jalapenos on your bread pcs., then sprinkle your cheese on top of all of that. In a bowl beat your eggs, add your milk, and seasonings and pour over bread mixture. Cover your casserole dish with foil. Add 1.5 c of water into your Instant Pot and set trivet in the bottom. Make a sling out of foil and lower your dish on to your trivet. Close lid and steam valve and set on pressure high for 20 minutes. Thank you for all the recipes. I bought an instant pot and I could not find recipes I like. I saw yours and want to try them all!